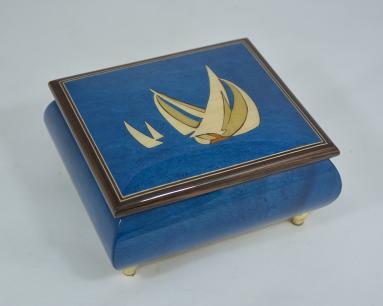 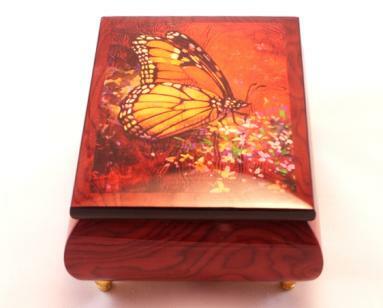 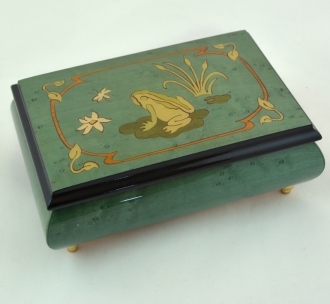 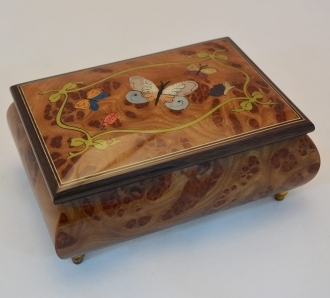 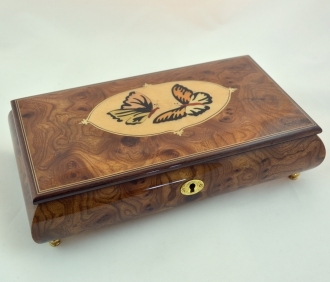 This butterfly box is designed by the celebrated artist, Simon Bull. 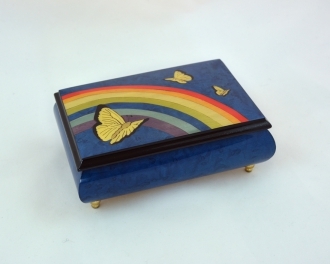 In 2000 Simon Bull won the Fine Art Trade Guild award for being the top selling print artist in Great Britain. 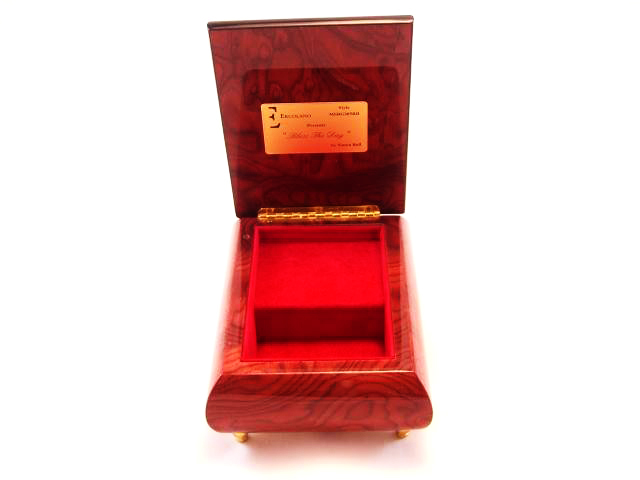 Plays a 18 note Sankyo or Reuge movement tunes.